I’ve setup a Fluid instance of Overcast on my MacBook Air, complete with a proper icon, which let’s me treat Overcast just like any other Mac application. I didn’t have to wait for the developer, Marco Arment, to build a native app, I can just use Fluid to bridge the gap for me. On iOS, Apple has built similar functionality right into Safari. From any webpage, you can tap on the share button and choose “Add to Home Screen”. Most websites have even setup a custom icon for this purpose, making sure their site’s shortcut doesn’t feel out of place alongside your native apps. But it’s not exactly a sweet solution. 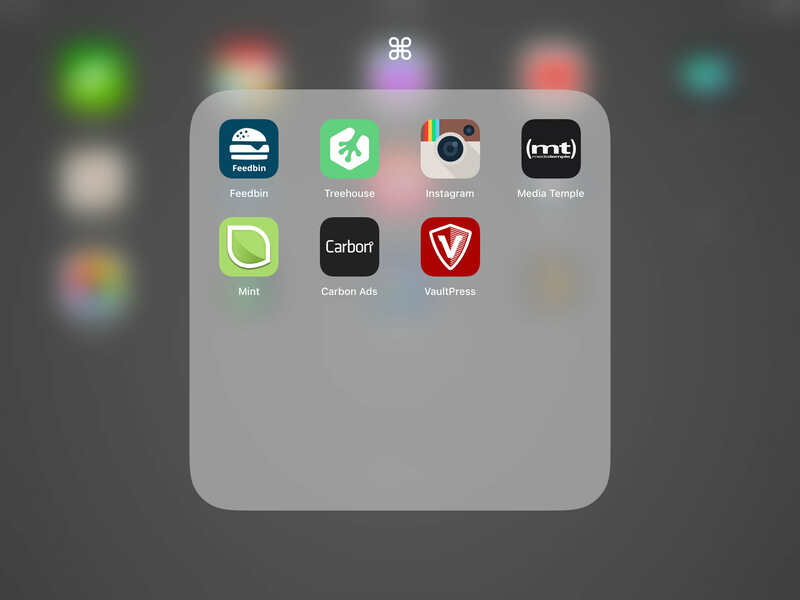 You can run the workflow from within the Workflow app itself or you can add it to Workflow’s Today Widget. But if you want the web app to live alongside your native apps, I suggest adding a custom icon in the Home Screen tab and adding the workflow to your iOS device’s home screen. A simple DuckDuckGo or Google Image search for the site’s name and either “icon” or “logo” should turn up several options. Mint, Initial Charge’s analytics software. Media Temple, the site’s hosting dashboard. Instagram, because they still haven’t built a native iPad app. There is one major caveat with these workflows — they don’t scale well. 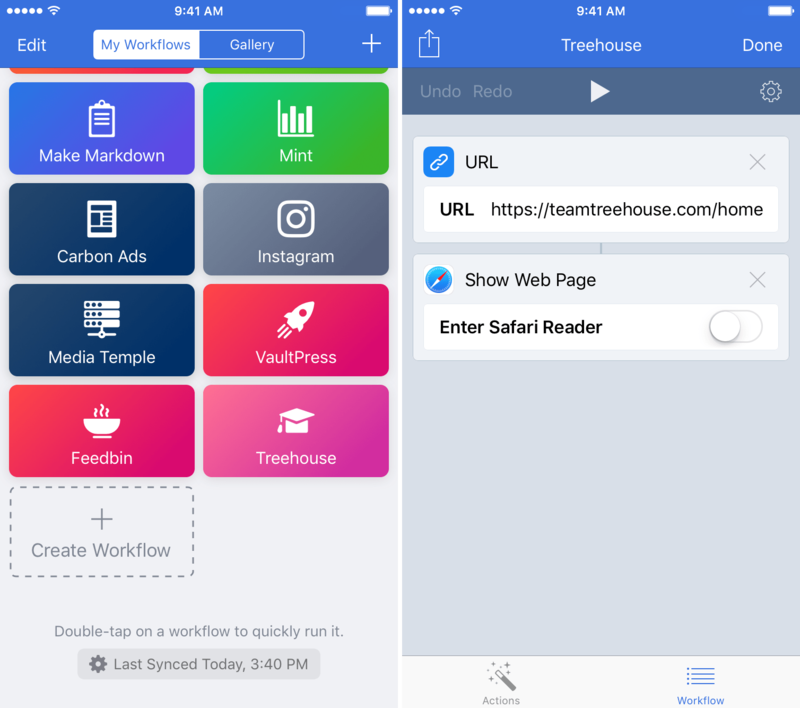 You can use them while multitasking with native apps, but you can’t run more than one of these site-specific workflows at a time. Once you launch the second, it tosses out the first one. You could open some of your web apps in Sidefari with its URL scheme as a workaround — letting you run one web app in Sidefari and another in Workflow. But in my testing, Sidefari often fails to load the web page if the app isn’t already in memory. It happens often enough that this workaround probably isn’t worth exploring. But if you’d like to test it yourself, just replace “http://” or “https://” at the beginning of the URL with with “sidefarihttp://” or “sidefarihttps://”, respectively, and swap the Show Web Page action for the Open URLs action. But even with the multitasking limitations, being able to run web apps side-by-side with native applications is a neat experience. 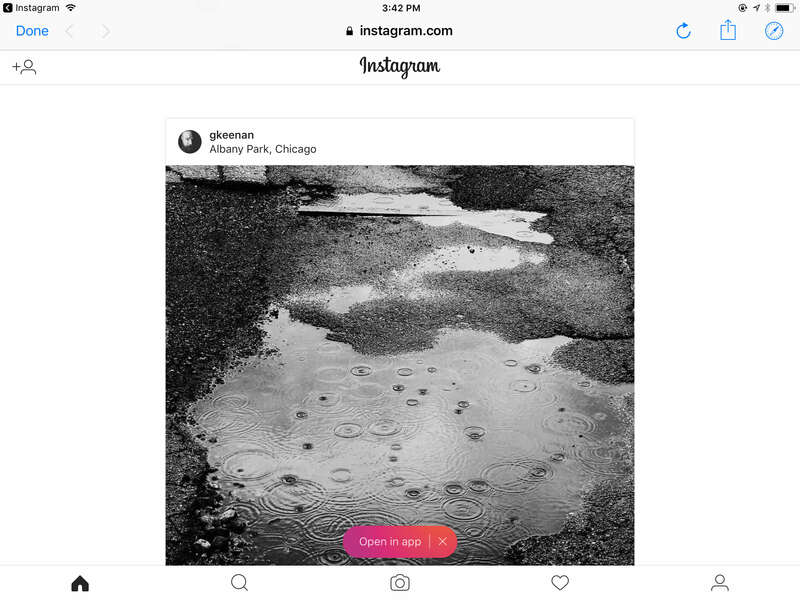 I hope you’ll find some utility in these workflows, even if you’re just looking for a better way to view Instagram on your iPad.